Ken and I celebrated our first anniversary this past Saturday! I had no clue what he had in store for me that day. The last year has been difficult to say the least. As a newlywed wife I haven't been able to be the Susie home-maker that my mom, grandma, great grandma (you get the picture) taught me to be. Sometimes I feel like I'm missing out on taking a meal out of the oven and popping one of my heels up in the air as I admire my deliciousness...or my disaster! I've struggled with many things that we can't do as a couple but life is not all about doing. Some seasons are about being, resting, and slowing down. Ken has helped me so much with this whole concept. This anniversary reassured me that he meant, "in sickness and in health." 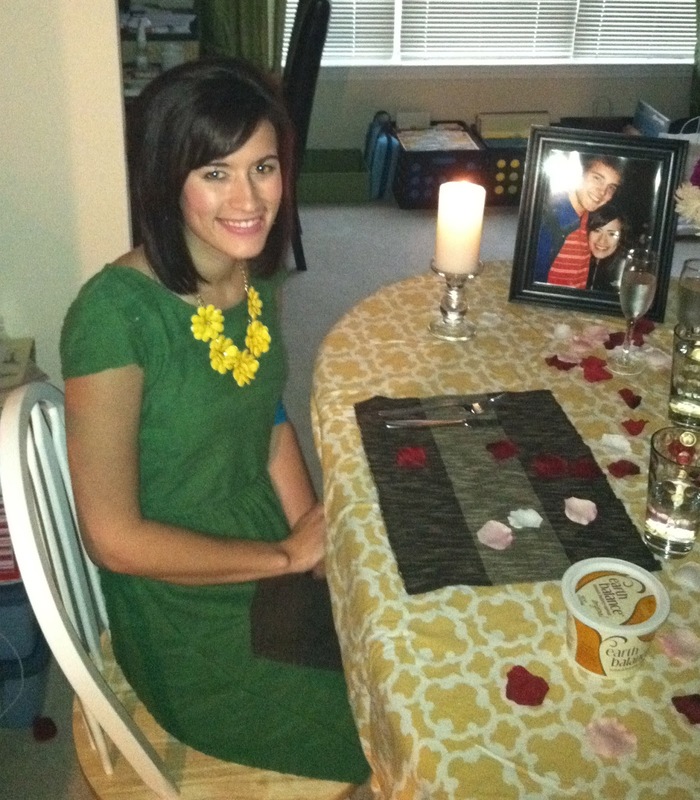 Ready for our romantic dinner to begin! - Laid on the floor and took pictures that blinded us! -Last, he gave me an infinity ring! I'd been wanting one for awhile. The day was wonderful despite the disease. God gave me an amazing an amazing husband! He made me a movie with our song and pictures...trying to get it downloaded to FB. It's probably my favorite thing he did. We also bought a King size memory foam mattress that we had saved for! It's on it's way soon. We'll both be able to fit comfortably on the bed now-he is 6'6"!! Ken bought me a dress and a new fleece too. Ah, it felt like Christmas and I felt so loved. If anyone in the Raleigh area needs a Queen size mattress we have one for sale with box spring, frame and a neutral bedskirt. Only a year old. I've added "follow me by e-mail" at the top right hand corner of the blog. 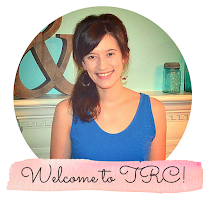 Just add your e-mail and you'll get updates about what's going on in our Rounded Corner! Oh my word, this post made me tear up, especially the part about Ken washing your feet. What a precious memory you will have from that. 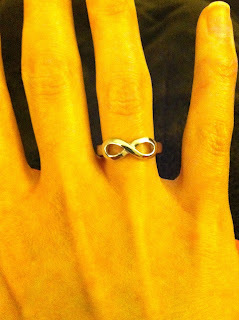 And I love the infinity ring!